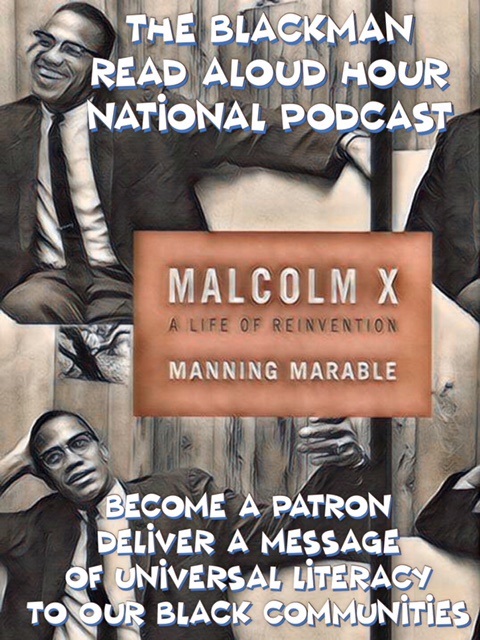 Please click on this direct link https://www.patreon.com/josephsheltonhall and become a Patron and support my drive to create a National Podcast for my project "The Blackman's Read Aloud Hour" any donation will assist in funding my efforts to implement this project. Visit my page and learn about my objective. I hope that by the end of 2018 this model podcast will be implemented. If you would like to assist me in my efforts become a Patron or contact me directly. "Let's not let the next potential Malcolm X be wasted away due to illiteracy. Malcolm X was going to be an illiteracy statistic until the day he decided to master words not have words master him."